Price inclusive of framing and UK delivery. After part time study at the Westminster School of Art, Ardizzone started his career in the 1920s designing book jackets and producing commercial artwork. He had several solo shows in the 1930s becoming sufficiently famous by the start of World War 11 to be appointed one of the first official war artists. His work is held in many public collections including the Imperial War Museum, the Tate and the V&A. 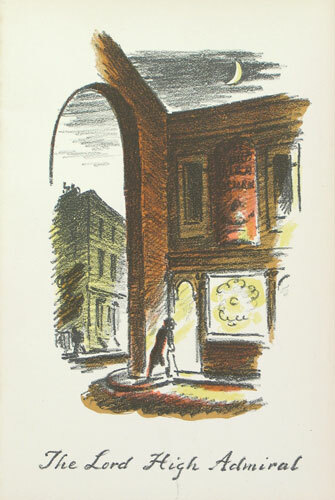 Ardizzone made around eighty lithographs during his career. In 1970 he was created a Royal Academician and was awarded the C.B.E. in 1971.